An Earthquake is when the Earth's surface shakes or vibrates. This usually occurs near fault lines or plate boundaries. 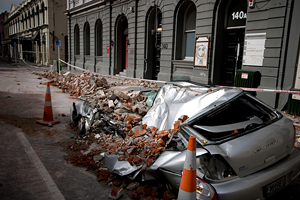 Earthquakes can happen without warning and if they strike populated areas can cause massive destruction. The Earth's surface is broken up into 'Tectonic Plates' which are constantly moving due to convection currents beneath the plates. Tectonic Plates typically move only a few centimetres per year. Earthquakes usually occur at fault lines, the major fault lines are at the plate boundaries where stress and strain builds up between the adjacent plates resulting in a sudden movement of rock which releases seismic energy causing an earthquake. The point of where the movement of rock occurs is called the "focus" and directly above it on the earths surface is called the "epicentre". 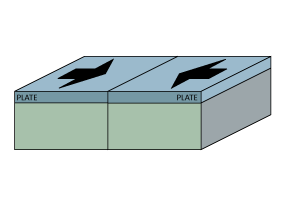 A Convergent or Destructive Plate Boundary is when two plate boundaries meet and one plate moves underneath the other. 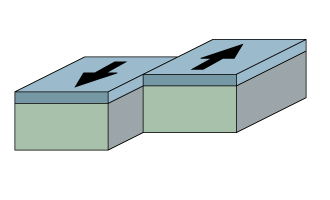 A Divergent or Constructive Plate Boundary is when two plates boundaries are moving away from one another forming new crust. 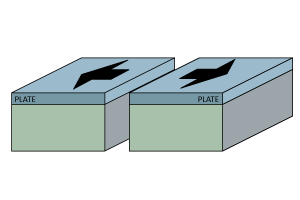 A Transform Plate Boundary is when two plates slide past one another.